Wire Service – The adventures of three globetrotting reporters working for an international wire service, the fictional Trans-Globe wire service. This was the first hour-long, weekly scheduled dramatic series with continuing characters to last a full season on network television. 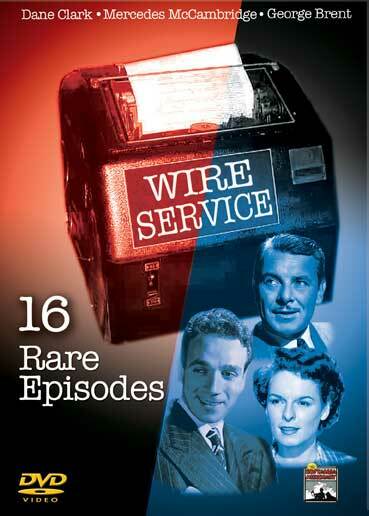 16 filmed episodes were recently discovered and have been carefully transferred and digitally remastered. The Tower, Flowers for the General, The Comeback, Atom at Spithead, El Hombre, Dateline Las Vegas, No Peace at Lo Dao, A Matter of Conscience, Misfire, Death Merchant, Violence Preferred , The Last Laugh, Four Minutes to Shot , The Washington Story, The Nameless. Run Sheep, Run.